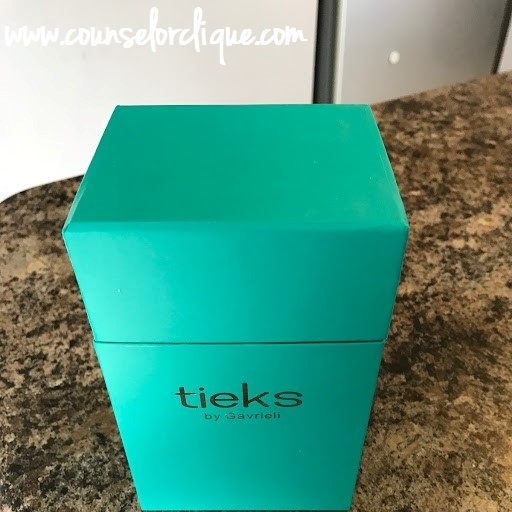 First things first: I am not being endorsed by Tieks shoes by any means (though I would welcome any signing bonuses, new pairs of shoes, or anything else they'd want to offer me). I just wanted to give an honest review for these shoes I've grown to love a lot! As school counselors, we are on our feet a lot! It's normal to have a day where you hit your "step goal" by morning time. It's hard to find something comfortable yet lasting that will support your feet day in and day out! I am tall, so I prefer to wear flats over everything else. Get a simple color, and they can go with everything. Wear them in all seasons. Always look professional. 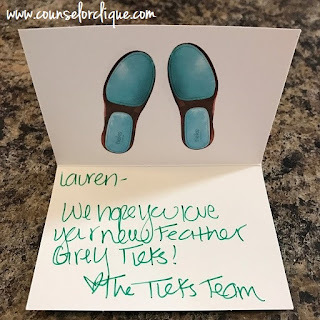 Tieks have stepped in to fill all of my needs. Flats don't have to be uncomfortable anymore! I will be the first to admit- I was skeptical because I saw a lot of promoted ads in my Instagram and Pinterest feeds. These reviews weren't coming from personal sources and were obviously paid endorsements. Also- Tieks are definitely out of the normal spending range for me for a pair of shoes... work shoes at that (average about $175/pair). So I asked for my first pair for Christmas. As a gift, it seemed like there was less pressure... if I didn't like them, I'd return them. I asked for a grey color so they would match everything; however, I believe now that I'd make whatever color I had go with any outfit I had because I love them that much. I went with the "Feather Grey" as they are simple, timeless, and classic. The first couple of times I wore them in, I had a little redness on the back of my heels which was gone maybe after one week of wear (didn't even get any real blisters or anything). Almost a year later, the durable leather is still firmly holding up. The cushioned bottoms provide by far more support than ANY other flat I've ever worn. Maybe this is TMI... but I love that they also don't SMELL like other flats I've had before either (cheap or expensive- all seem to smell after time). These shoes came delivered in the most intentional packaging! The shoes themselves are flexible, so they were folded and wrapped up in the cutest package. I love that there was a personalized, hand written note included with my special gift. I'm all about the "experience" a company can provide to me as a customer. If you need a new pair of ballet flats, I do believe Tieks are worth the investment. Does anyone else rock the Tieks during their work days?